My mother's birthday is coming up and I know she's out of night cream. 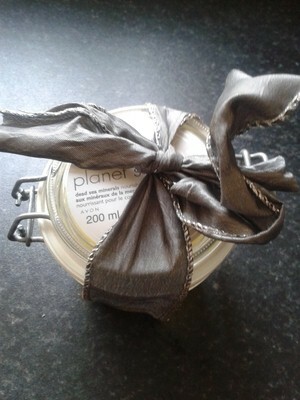 Instead of wasting money on a tub of cream that promises a face lift, my sister and I created a bespoke facial oil, brilliant for '50-plus' skin. The cosmetics industry is a multi-million dollar business, and when the stress and strain of daily life begins to show on our face, you want something to make those lines go away. Moisture is essential. Hydrating from the inside out, is the best way to keep skins elasticity, but to keep it smooth and soft, natural oils go a long way. 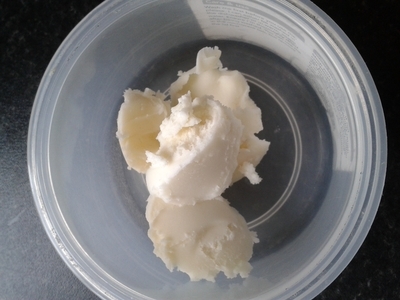 Shea butter is an emollient-like butter, which comes from the Shea nut, grown in Africa. The Shea nut has weathered intense heat, wind, and rain, and because it has adapted to averse weather conditions, the nut is rich in skin-softening oils, which make it a moisture powerhouse for your skin. Put the shea butter in a microwavable dish. Put the dish in the microwave for one minute - the shea butter needs to melt. 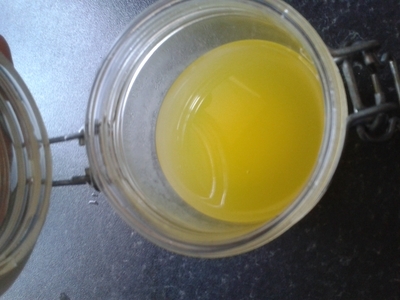 Remove from the microwave and without cooling add the rest of the oils. 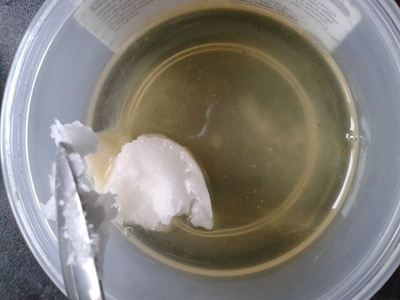 The solid coconut oil will melt with the heat from the shea butter. 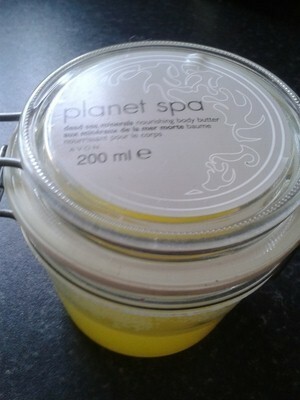 Pour into a small glass or plastic jar/tub with an airtight lid. Tie with some ribbon if you have it, it makes a great gift, and the receiver can keep the jar/tub for future use.